Robert received a PhD in Agricultural Economics from ETH Zurich in 2009 and stayed as PostDoc till 2011. Before returning to ETH Zurich, he was Assistant Professor in the Agricultural Economics and Rural Policy Group at Wageningen University (2012-2013) and Head of the Production Economics Group at the Rheinische Frie-drich-Wilhelms-Universität of Bonn (2014-2015). The research fo-cus of Robert is on risks and risk management in agriculture, evalu-ation and design of agricultural policies, sustainable farm-environment interactions and agri-environmental measures. Dr. Russo is responsible for research and development at ZedX, Inc., an information technology (IT) company in the United States specializing in decision-support algorithms, models, and data visu-alization tools for the agricultural industry. He is active in the de-sign and development of interactive, web-based decision-support platforms, and application programming interface (API) data ser-vices for different agricultural sectors. These platforms and ser-vices utilize deterministic crop, pest, and management models to complement field observations and to provide forecasts. 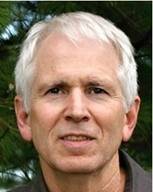 In 1978, Dr. Russo received his PhD in Agricultural Meteorology from Cornell University. Joshua Woodard, PhD is an assistant professor of Agribusiness and Finance in the Dyson School of Applied Economics and Management at Cornell University. His research focuses primarily on data ana-lytics and policy in agricultural finance, insurance, & risk manage-ment. Andrew is a highly experienced farmer, agronomist and advisor who, along with creating Australia's first agricultural income pro-tection insurance for dryland farmers, has been assisting his father managing the 1000-hectare family farm in the highly productive Wimmera district of Victoria. The Latevo agricultural income protection model is unique in the Australian market as it offers high-level cover for all natural perils affecting broadacre crops and also enables farmers to mitigate their own risk whilst maximizing yield potential. Latevo has been on the market for three years, has a 100% claims payout strike rate and is currently harnessing technology opportu-nities to enable more farmers complete the due diligence process-es effectively to maximize their coverage offers. It made news in 2014 when the first claims payout of $944k was made to a Queensland grower and after a period of trading in a difficult climate, Latevo now boasts to have received more premi-ums than payouts during its start up phase. The current model provides an efficient balance that ticks all the boxes for both insurers and farmers. Not only is Andrew continuing to grow and develop the Latevo model, he is frequently engaging with the Australian government. By engaging with the government he is looking to garner support for farmers through rebates that will enable them to protect them-selves against natural disasters such as drought, flood and frost. Not only do these natural perils cripple farming enterprises, they create mental carnage for many farming families who are risk-adverse.